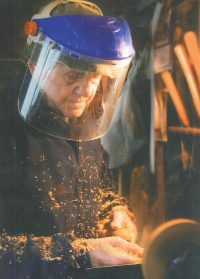 For as long as I can remember my father has worked with wood, producing many remarkable pieces. 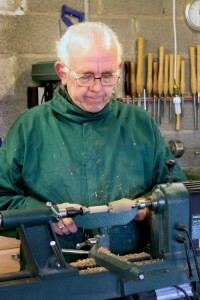 As I watched him the love for the craft of wood turning grew stronger. Following in my father’s footsteps I took up the challenge to create something that was both beautiful and functional. The response from friends to my handcrafted pens was overwhelming and it was at this time I decided to start selling my creations to the wider public. 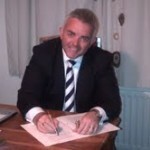 Once again the response has been great, with my pens being purchased by customers from Asia, Canada, America and Luxembourg to mention a few. I am very passionate about what I produce, and as wood is a natural product no two pieces are ever the same. The true characteristics of the wood are never really shown, until the piece has gone through the thirteen specialist processes and is finished and ready for the discerning hand. I believe the recent testimonial sent to me from the worlds largest Titanic visitor centre in Belfast, Northern Ireland speaks for itself regarding the quality of our pens and the service we offer. Any of our pens can be bought without engraving or for a small charge you can add bespoke engraving to your order.